Proven quality, reliability and service to the Library Industry are instant benefits to our library customers for Patron Self Check-out Receipts, Book Hold Slip Receipts, Circulation Receipts, Due Date Receipt Slips, and more! TSP100ECO futurePRNT is the first All-in-One receipt printer on the market today that is ECO friendly. USB connection that provides an immediate "Plug&Play" installation which reduces the time of integration to minutes. Maximize your library savings with Power and Paper Savings of up to 75% by using the TSP100ECO printer while enjoying a peace of mind 4 year bumper-to-bumper warranty! The TSP100III, Star's faster, easier, and better solution for point of sale printing, provides a perfect printer for overdue slips, hold slips, receipts, renewals, and more for a library setting. 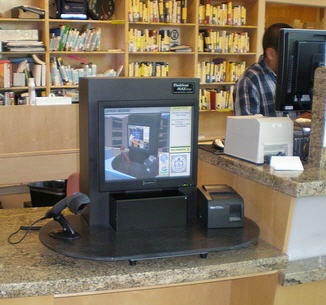 With WLAN, LAN, Bluetooth, and USB connectivity options, the printer can be operated anywhere in the library. The TSP100III also includes futurePRNT receipt design software, allowing libraries to customize the receipt to include important return policies. The TSP650II is the ultimate value in thermal receipt printing. This high speed, low cost direct thermal printer offers many of the features found in more expensive printers. Full graphics and barcode printing support is standard for the TSP650II! The TSP650II also features recessed cable connections to for increased reliability for the life of your printer. The TSP654SK Series offers printing for liner-free labels and receipts, offering the perfect solution for book hold receipts, due date receipts, and more. 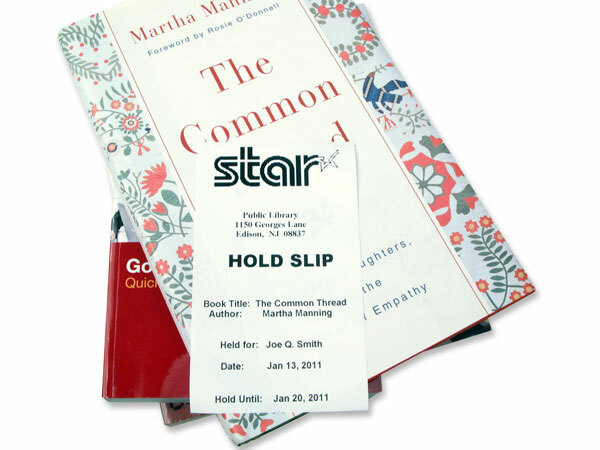 Never lose a library posted receipt again - and leave no adhesive residue behind on library materials. Dot Matrix high speed printing for libraries in dual color printing of black and red. Multiple ply receipts, logo storage and embedded power supply provide effortless dot matrix printing at an economical cost.